Should You Quit Your New Job? Congratulations! After six months of interviews with more than a dozen employers, you accepted a job offer and began working at a new company. But it’s been five weeks since your first day…and you kind of hate it. Should you quit your new job? The aforementioned scenario is not uncommon. As a matter of fact, until the 90-day mark has passed, companies tend to consider new employees at an elevated risk of resigning. In addition, the economy is heating up and we’re at the starting gate of a candidates’ job market. Many employers have accelerated their hiring process and offer better compensation packages in an effort to bring on new hires. These factors can lead to the increased likelihood that candidates might accept jobs they have not fully vetted. What should you do if you’re unhappy and want to quit your new job? Determine if the job is salvageable: Reflect on your job history and try to determine if you have a pattern of taking a while to warm up to a new job. Seldom do people love their jobs from day one and you may need a little more time. Are there any quick fixes? : Is the commute difficult? Perhaps you can work remotely one day a week. Are you accustomed to a Mac but are now working in a PC environment? That is a skill that can be learned and is not a valid reason to quit your new job. But if you’re unhappy because of your manager—or because of the activities of the job itself—you have a greater challenge ahead of you. Get some advice: Talk to a friend about the situation. He or she may have candid observations that will help you reach a conclusion. But avoid discussing your feelings with a new co-worker or with Human Resources. The former has not yet established any loyalty to you and the latter will escalate the situation to your manager. Both scenarios may take the decision out of your hands and create a fait accompli. Low-hanging fruit: If the new job is truly irredeemable and you need a quick out, you can contact your former employer. Perhaps your old position has not yet been filled and you could discuss the possibility of a return. Additionally, you could selectively reach out to some of the employers you met with during your recent job search. Regardless of whether they hired someone or not, they may be pleased to hear from you again. Job search: Knowing what you can and cannot tolerate is your call. 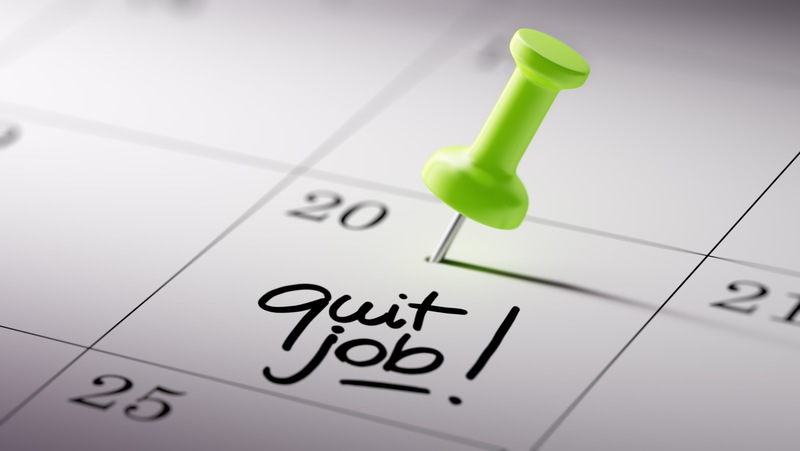 Likewise, determining whether you should quit your new job without a new job lined up or stick it out until you find a new gig is entirely dependent upon your situation. Regardless, you will be embarking on a new job search and it is essential to determine how to position your short-stint job and to identify red flags. Your resume: While every situation is unique, recent short-stint jobs should, generally, be included on your resume. Not including it could be construed as misleading should it come to light, and it is better to focus on how to position your short time at the job than explain why you left it off your resume. Vetting a potential employer: Think about what you did not like about your most recent job and try to formulate questions related to these areas. Observe as much as possible about the employer when you interview. This can include what you see and hear while you are in the reception area and walking through the office. Use Google and Glassdoor to research the companies and search on LinkedIn to determine if you have any connections (or mutual connections) with ties to the company. They may provide invaluable information. Don’t beat yourself up: Everyone has taken a job (or two, or three) that turned out to a be a bad fit. It doesn’t accomplish anything to dwell on it, but instead focus on what you learned about yourself through the experience—and strive to avoid history repeating itself! If you need support in planning your job search and creating a professionally written, new resume, contact San Francisco-based resume writer, Robin Kelley, at Resume Preferred to schedule an introductory call. Follow Robin on Twitter @ResumePreferred. If you’re a senior executive and are seeking to capture and convey your value in the marketplace—and achieve the next level of career success—contact Leadership Career Consultant Amy Phillip.